It’s All About That Bass: How The Triathlon Industry Gets It Wrong. The heart and reality of modern triathlon is the everyday hero, not the thigh-gap supermodel. Who does triathlons in the United States today? What does the “average” triathlete look like? Industry dogma suggests all triathletes are high wage earners between 30 and 45 who aspire to race Ironman (or already have). They own a $10K bike, race wheels and a power meter. Their household income is above $120K and they have a graduate level degree. They are the marketer’s dream come true: Young, affluent, fit and shopping. There are two problems with that “demographic”: it’s outdated and likely wrong. Why? Set the way-back machine to December 2007. Economists agree this is when the Great Recession started in the United States. It ravaged personal discretionary income and decimated those just hanging on to upper middle class. Many haven’t recovered to pre-recession income and savings levels even though the recovery has thundered ahead, dropping them from the pack like a newbie on their first group ride. Those that have recovered or never suffered an economic loss may be reluctant to part with cash earned during the stock market gains of the past seven years. Americans seem less eager to carry debt, despite an ominous recent spike in credit card debt. Discretionary spending decisions have tightened in the post-recession era. Many of the tired marketing statistics rehashed about triathlon were collected prior to the 2007 recession– and haven’t been updated since. The post-recession demographics for triathlon have changed. Americans have also changed physically. We’re heavier- all of us. The number of svelte, uber-athletes is smaller now than it was 20 years ago relative to the general populace, who apparently has been spending what’s left of their shrinking discretionary incomes on Krispy-Kremes, not qualifying for Kona. 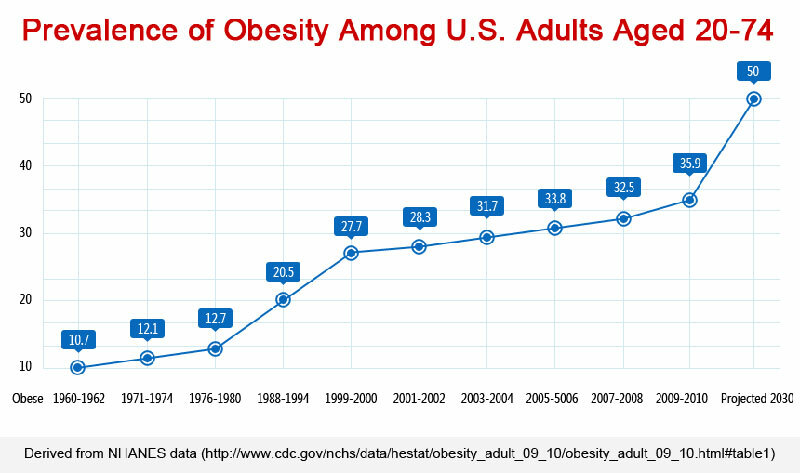 Americans, including triathletes, have gotten heavier and may continue to as a population. Triathlon has failed to market effectively to that reality. As a result of this economic and health demographic shift triathlon has filled from the bottom. The sport is growing from an increasing number of new athletes who are more average, heavier, less athletic but still inspired to participate– if not necessarily compete. This is good news for the triathlon industry if they become more pragmatic about who is really doing triathlons. History suggests the triathlon industry isn’t very realistic about its own consumership. It continues to (try to) market to the svelte, Kona demographic in print and internet media- even though the inspirational stories that bring people into the sport are usually the saga of the everyman participant who had to overcome to participate, and doesn’t really compete. This fundamental misunderstanding of the distinction between Participation and Competition is what continues to hold the triathlon industry back. It is also why retailers have a hard time earning consistent profits from a market they are increasingly out of touch with. There has never been an ad campaign in triathlon featuring realistically sized, average age group triathletes. In fact, the same rebellion that has happened in women’s apparel marketing with consumers raging against brands like Victoria’s Secret and Abercrombie & Fitch is ready to happen in triathlon. The middle 90% wants triathlon to “get real” about who is actually participating, and they don’t care about who’s racing in Kona. 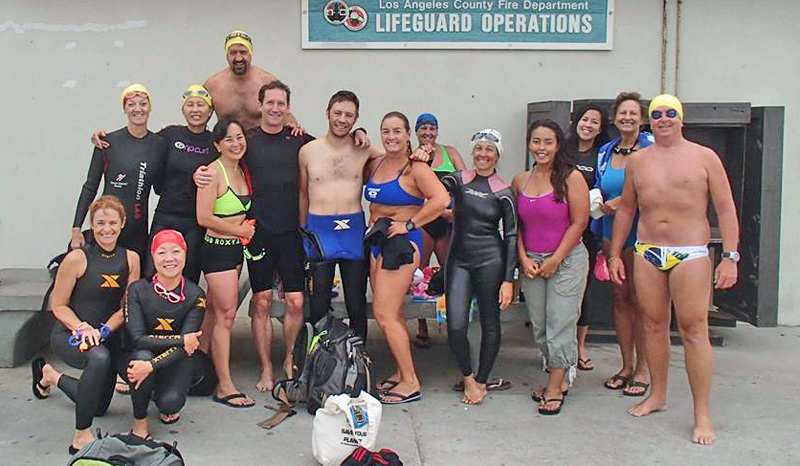 Triathlete Niecia Staggs and his Ocean Swim Club at Torrance Beach, California represent the athlete constituency that truly pushes triathlon forward. A gold standard metric for triathlon marketers and product managers has been the “Kona Bike Count”, a census of brands and models seen in the transition area of the Ironman World Triathlon Championships in Kona, Hawaii each year. This increasingly irrelevant set of metrics is still used to (try to) sell everything from race wheels to bikes to power meters. There is one problem though- as the sport fills from the bottom the assumption that every participant aspires to emulate the couple thousand athletes in Kona is statistically flawed. A bike company may devote six figures and more to developing the next triathlon “super bike” costing over $5000 (and even $10K) but they have failed to develop inspiring new designs in entry-level triathlon bikes. If a bike company introduced a comfortable, high head-tube bike with aerobars and a comfortable saddle with an aero appearance at the $1500-$2200 price point it would be an easy decision for new triathletes. New triathletes aren’t interested in the tired marketing paradigm of wind-tunnel white paper dogma that is debated ad nauseam among a shrinking number of triathlon Internet forum mavens. They just want to sit upright on their bikes, be comfortable, look presentable and have a good experience at their triathlon. Apparel and personal care brands have begun to leverage an inclusive, realistic approach to expand brand awareness and foster broader-appeal sales. Numbers say the approach is working. Apparel manufacturers have missed the mark too, alienating prospective customers with images of sponsored pros with little or no recognition among average triathletes and building clothing that is too tight, too short and in size runs that are humiliating to try on. If a forward thinking triathlon apparel brand introduced a tactfully marketed apparel line called “PR” with upward-adjusted size runs, modest cuts and middle-road visual appeal they would outsell too-tight, mis-sized brands designed to fit anorexic Kona winners. The idea of every triathlete being the “alpha consumer” isn’t accurate anymore. Triathlon has changed. The sport is filling from the bottom. It has become an “everyman and everywoman” sport. The vision of the triathlete as a super fit, alpha-consumer threatens the sport by becoming increasingly exclusionary. It fails to welcome new athletes and creates barriers to entry like body image and entry price. There will be big and quick rewards for the first triathlon brands who acknowledge this in their product mix and marketing message. The money is there to make, but it must be earned through pragmatic product design and judicious, ego-free marketing. The first brands to reach the finish line of the new, realistic paradigm in triathlon marketing will be the new podium finishers on the top of the sales charts long after the “winners” of the Kona Bike Count are forgotten. A-freaking-men! I have several friends in well respected triathlon brands and I have been telling the same thing for years!! Now if only I could find some companies to partner with, I am one of those larger athletes and have puts lots of time into thinking about what guys like me really want out of this crazy sport!! To say that I couldn’t disagree with you more, would be an understatement… To a point. You are right in the fact that triathlon, as a sport is filling from the ground up. It is becoming an overwhelmingly popular sport for the “everyman and everywoman” Which is an incredible thing for the sport. That’s where you being correct, in my opinion, ends. I was one of those people you were talking about. Overweight, out of shape, and never even heard of the sport that I now compete in. That was in 2010, and I have changed… COMPLETELY! Since then, I have lost the 60+ pounds i was carrying around extra, have raced at the top end of my age group for some time now, and have become a USAT certified triathlon coach. I have seen both sides of the coin. My coaching is geared mainly to age group athletes who are just starting out in the sport, and I have gear for our team made to cater to those folks. It’s not all tight, unless they want it to be. It is cut to fit every triathlete out there, as long as they order the right sizes. I have seen my athletes lose tons of weight! And ones that previously would fit into a large or extra large are now in a medium. Not because of the marketing to them from Kona, or triathlete magazine ads, but because they are working hard to realize their true potential. As far as the “KONA Bike Count” and all that, most triathlon bike companies make their top end bikes, and trickle the technology down to their entry level bikes. The bike brand that I recommend is Felt Bicycles. They use their top top end technology from the DA, incorporate the aerodynamics from that, and use lower end materials and lower end components and build amazing machines for the entry level pricing. And when they do release it, They sell out almost immediately. Triathlon is a tough sport, Just finishing a 140.6 or 70.3 is a tremendous accomplishment. I think that marketing and magazine editors have it absolutely right with putting the articles and images with top level pro’s. Golf magazines, running magazines, and all the other individual sport magazines all show top level athletes, showing what the body can do. I for one, probably wouldn’t purchase a product if it were marketed to a heavier person. Because i wouldn’t want to label myself as that, even when I was heavy. As the old saying goes, “you dress for the job you want, not the job you have” If these entry level triathletes continue to work hard and accomplish their goals, they wont be heavy for very long. And on another point, I would hardly call myself anorexic, as if I don’t consume enough calories, I will suffer in training. And while the majority of people that are now competing in this sport are at the entry level… Who says they have to, or for that matter, want to stay there. I hope this opens your mind a bit to what else is out there, and good luck in your triathlon journey! Some good points from Mr. Caiazza. I just bought a 2015 Felt B14 for just under $2K, all carbon w/Ultegra build, not sure how much more speed a Felt IA would get me. I too was overweight and took to triathlon to get healthy. I’m a scrappy FOP Age Grouper and it doesn’t matter to me that folks in ads are lean and mean. I think in this industry “lean and mean” is OK but the clothing industry is not the same. If you’re in triathlon, you’re aspiring to be “lean and mean”. In the clothing industry people just wants something that fits, or makes them look good and/or thinner etc. I utterly agree with you. As a novice triathlete, l just want to be taking part, enjoying myself and wearing something that doesn’t bring me to tears when trying it on. When I pick up a tri-magazine I, along with everyone else, want to see my slightly-chubby (but perfectly happy, strong body) represented – when it isn’t, I tend to veer away from it. I used to think that triathlons could NEVER be for someone like me because I barely saw any images of different body shapes or beginners – perhaps with more effort to represent a broader demographic of those taking part, even more people would be encouraged to take the sport up and stick with it. And then maybe companies would use a realistic sizing chart that allowed for women with hips!! Best. Article. Ever! You hit the nail square on. Thank you! I hope it is shared far and wide and makes traction in the industry. Since manufacturers only attend 1 tri a year (Kona) of course they have no idea who and what triathlon is really about. At Endurance House, we wholeheartedly agree with this message. While, we have the tools and the toys to support the most advanced triathlete, we strive to create a welcoming, encouraging, and learning atmosphere for those just beginning their fitness journey. We even take this into account when designing our exterior window graphics. We want our customers to see images of people they can aspire to be, not something that is realistically unattainable, especially when you factor in other priorities of family, career, and community. I have no problem with magazines focusing on the pros…much of what the elite do and use can be translated to everyone else. One of the cool things about our sport is that the participant get to race on the same turf as the pros. Pretty unusual when you compare it to our top spectator sports…football, baseball, hockey, etc. We just have to make sure that those of us making and selling the “stuff” focus on the real heart and soul of the sport…those who are participating more than competing. We need to be able to outfit them with quality gear that performs and fits comfortably but includes budget in the consideration. I agree me and my wife lost 170 pounds with lifetime fitness 90 day challenge. Shortly after we started a epic journey with sponsors like lifetime and Toyota to start training for our first triathlon. You can see our blog and video Toyotaepicjourney.com . Now we are training for July Minneapolis tri and I am doing the Louisville ironman in October. Amazing article. I am not an athlete, but have always struggled to keep in shape and healthy. Having personally supported and watched a significant other train relentlentlessly and to the best of their own perfection, I fully understand the committment and hard work it takes to be a triathlete. However, I think that you hit the nail on the head demonstrating that there are all kinds of people in different shapes and sizes that all have the same goal. To be the best that they can be. They all train. They all sweat. They all puke when pushing that envelope one step further. Some people are svelt and some are curvy, but all are determined. One of your best articles to date! Thank you Ma’am. 🙂 I’m happy you read it! Awesome article. I had this conversation a while back when a company was designing the “next best thing” as it related to tri suits. After getting my hands on this low rise tankini (yes for guys), with the intent on selling it to the “general public”, I realized they just didn’t get it. No matter how much feedback I gave on how the average Joe or Jane wouldn’t buy this kit, they still were insistent on this being the greatest thing since cheese graters. You hit the problem right on the head. I have to agree with the article. I did my first triathlon 2 years ago at age 59. My goal in my first tri was to finish, not win. Fortunately I had good advice from my local bike shop when I went shopping. Their advice was not to even think about a tri bike until I was ready to do longer tri’s and/or aim for the top of the age group. Glad I did since now one bike serves well for tri’s or century rides (most organized bike events don’t allow aerobars). It came to light even more clearly lately as I’ve been sidelined recovering from rotator cuff surgery. Since I couldn’t compete, I volunteered for several triathlons and it was a real learning experience. I saw participants of all shapes and sizes on bikes from $10K plus to cruisers with baskets on them! Probably the most important thing I learned is athletes can shave a lot more time off their results by becoming more efficient in transition than by spending an extra $1000 or more on the greatest equipment and apparel. Yeah and the Industry also misses the mark of diversity in the sport. The sanctioning body will tell you in the US that it is hard to get Hispanics into the sport. Well I go to Age Group World’s and guess who has a huge tent and a lot of athletes competing? Mexico. The sport has to stop marketing to just us lily white athletes if it wants to become mainstream. this article made me very sad. exactly as i usually feel when i read the very complacent and paternalist views that have made perfectly acceptable for society to always accept anything. i am sorry but anything is not always acceptable. look around you, people are out of shape, they are obese and cardiovascular complications are the number one cause of death in this country. how is that related to the article, you’ll ask? it very much is. i am a slow age-grouper, i spent my entire life out of sports and i picked up triathlons five years ago. by no means i am fast. but i aspire to be. i aspire to look better, leaner, healthier … everything you want to add. there is nothing wrong in aspiring to be better. there is nothing wrong in dreaming to be at kona. i will never go to kona, and i will never place in my age group in any big race. but that does not stop me from wanting to be and look like one of those fast people. it is about time that we stop as a society to pat ourselves on the shoulders and say that it is ok to accept who we are. do you realize that pretty much any apparel company in the world makes clothes using two very different sizing charts? now, one of them fits comfortably 5.7 billion people. the other needs to be revised continuously so other 300 million can feel good about themselves. does that tell you anything? there is a very BIG difference between accepting the status quo and doing something about it. and i believe that all the people this article is talking about, all the very out of shape age groupers, who finish the race when most of the field is already under the shower, have chosen to do something about their status quo. they are here competing, not with the rest of the field, but with themselves because they want to be better, they want to aspire and they dream. so dear tom, i really do not think that your article captures the nature of triathlon at all. training for triathlon is hard, it takes time and a lot of commitment. stop being paternalist with us age groupers. everyone of us, every single soul, at ever race, is there to compete. the might not be competing to win, but they are competing to improve who they are. I have to agree with you, please don’t remove the competitive edge from triathlon. As a life long runner I have watched road racing devolve from great competition to a giant costume party at virtually every level, all in the name of stuffing the entry box. That is why I migrated to tri, because the participants still cared about an intense physical experience. If you start to dumb it down with the everyone gets a trophy (er. medal or whatever) you begin to destroy the core of what this sport is all about. So please, no tutus or blinking light shows, lets keep it real. I couldn’t disagree more. I am a middle of the pack age grouper who needs to lose about 15 pounds so I get what you’re saying about wanting and needing to see and hear about others who aren’t pros. Stories about those of us of who compete (it IS a competition!) knowing full well we will most likely not podium. The problem comes that by lowering the bar to average you turn this into a “participation award” sport that removes the desire and belief that I can do better. Why would you want to facilitate a mentality that says average should be rewarded the same as phenomenal? Also, the problem of normalizing being overweight and obese minimizes the serious health impact it’s having on the world as a whole. No one is lesser for being average. No one is lesser for having more body fat. The elites have elite bodies and it’s just as judge mental and wrong to call them anorexic as it is to belittle others for being bigger. Part of triathlon is learning to love our bodies and what we can make it do! Please, please don’t make this sport about “average” because the very fact it’s hard, that it stretches us beyond where we ever thought we’d go is what makes it so great. I agree with the author – I’m enjoying participating and it would be nice to be able to find suitable gear for my size and fitness level. I don’t want to be the very best, and I’m not looking to lose weight. I’m a busy mother and I can’t put a lot of time into the sport. It is annoying to see size charts that don’t have any options for me. I just want to have appropriate entry level gear at an entry level price that fits properly. And have fun pushing myself a bit out of my comfort zone. Agreed: Triathlons involve all kinds of participants with a variety of fitness levels and personal goals. Disagree: Companies “market” products to all consumers in a variety of ways. Think about all of the the beautiful people in a beer commercial. They’re not trying to get those folks to drink the beer. Well written Well said. Been doing tri’s since 1994. In the last 5 years it seems to have turned into an arms race. Also am guilty of the 10K bike fever as well. I agree with what Melissa wrote above. Was it necessary to mock the elite women of triathlon by referring to them as “anorexic”? They are anything but. They probably ingest as many daily calories during training as the average American couch potato does during dinner at the Cheesecake Factory. They are strong, they are fit, and they are beautiful. Also, while I agree USA Triathlon needs to show more respect to the Clydesdale and Athena classes (some of us podium in our age groups, not just in the C/A classifications), I don’t think triathlon is any different than cycling. Cycling magazines are filled with stories about the newest, lightest, more aerodynamic gear used by the pros. The pros have incredibly low body fat percentages and training regimes few enthusiasts can match. Bike manufacturers are not going to stop trying to sell us $10,000 bicycles just because we’re incapable of competing with pros in fitness, physique, or aerodynamic position on the bike. I use my 1984 Trek 460 for multisport competitions – the same bike I commute with. A newer, faster triathlon bike is on my wish list. And despite my BMI that puts me firmly in the “Overweight” category, I do not want sit upright while racing, I do not expect a racing bike to be comfortable, and could not care less if I look presentable while riding it. There are a LOT of clothing manufacturers and gear manufacturers who recognize athletes come in all shapes and sizes. I whole-heartedly disagree with the author. Triathlon is a sport of aspiration and is already very inclusive. Marketers will always use images of idealized athletes to sell their products. I started training and competing 8 years ago in Triathlon after being inspired by some Navy SEALs. The Ironman distance supposedly came into existence from a Navy SEAL Commander trying to settle the greatest athlete question. Now, I am not a SEAL, but I do continue to aspire in the sport. The majority of my improvement over this time has not come from dropping a few thousand on a lighter and more aerodynamic bike. It comes from difficult and long training sessions. In fact, I chuckle inside every time I pass someone with a more expensive bike then I do. The nature of Triathlon is to aspire. Whether it is to PR, complete a new distance, loose a few pounds, make it to the podium, or frankly just complete the race. If the overweight, out of shape, and otherwise disenfranchised wish to compete by all means let them compete. The swelling mass of participation in a free market economy does not make the sport more expensive it makes it cheaper. As for the sport being exclusive, the author has obviously not stuck around for the awards at the end of the race. Everyone in a competitor seems to have his or her own smaller competition. There are age groupers from the very young to the very old, male and female divisions, and clydesdales and athenas (for the author’s much stereotyped genre of first timers). Even more they even have races that celebrate persons finishing the race on a non-road bike (see fat tire competition). Not sure if you can manage the 500m open water swim yet, then maybe the duathlon is a great start to your multisport adventure. Lets not forget that the near entirety of triathlons are open registration which you cannot say about other sports. So yes, you may feel demoralized while you see more capable athletes finish ahead of you or you can focus on what you can improve. Finally, if you feel there is a market for the “everyday hero” then why don’t you do something about it? Everyone seems to get crowd funding these days. Great insight Tom. Look at the dialogue and reaction you created from people who do endurance events for love, accomplishment, and self esteem. You are validating their effort and commitment. I get excited when I see that someone else sees things as we do. It is more difficult to carry a full time job, maintain relationships and train to realize your personal goals than it is for those who make some or all of their living in sport. Love your perspective.